Tonight... Clear, with a low around 59. Light and variable wind. Saturday... Sunny, with a high near 91. 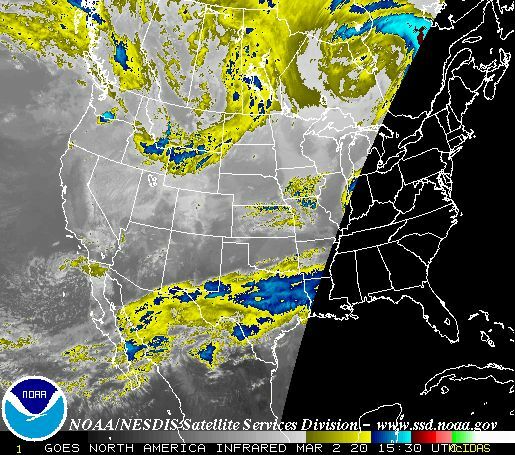 Light east southeast wind becoming south southeast 6 to 11 mph in the morning. Saturday Night... Mostly clear, with a low around 65. Southeast wind 10 to 14 mph. Sunday... Sunny, with a high near 93. Breezy, with a south southeast wind 13 to 20 mph. Sunday Night... Partly cloudy, with a low around 65. 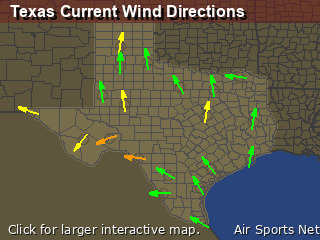 Southeast wind 14 to 18 mph, with gusts as high as 23 mph. Monday... Mostly sunny, with a high near 92. 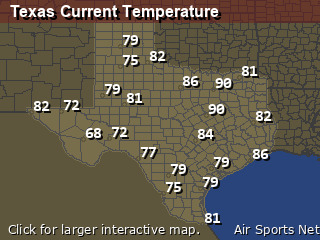 Southeast wind 13 to 18 mph, with gusts as high as 23 mph. Tuesday... A 20 percent chance of showers and thunderstorms. Partly sunny, with a high near 88. Wednesday... A 30 percent chance of showers and thunderstorms. Mostly cloudy, with a high near 89. Thursday... A 30 percent chance of showers and thunderstorms. Partly sunny, with a high near 89. Thursday Night... A 20 percent chance of showers and thunderstorms. Partly cloudy, with a low around 65. Friday... Mostly sunny, with a high near 93.